The Voyage Of The James Caird Begins. Ernest Shackleton on viewing the James Caird prior to the voyage. The 28 men of the Endurance were stranded on Elephant Island, having reached the desolate outcrop on April 16th, after an utterly gruelling seven day voyage. They had sailed there in three lifeboats, salvaged from the expedition ship, before it was crushed and sunk, by the ice floes that had held it captive for months. While it was a welcome relief for the crew to be back on land, after surviving on the drifting floes, since abandoning the ship on October 27th 1915, their survival chances were still very slim. 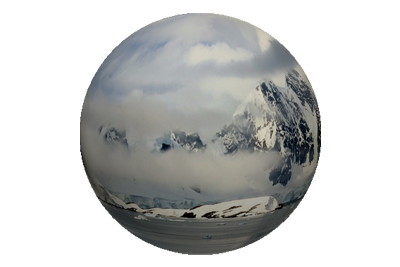 Elephant Island is a 29 mile long, fog shrouded, ice covered mountain, that supports virtually no vegetation, and was not remotely near any shipping lanes, which meant there was no hope of rescue from passing vessels. On examining their supplies, Shackleton estimated that they had approximately five weeks food, which could possibly be stretched to three months, at half rations. There was always the contingency of supplementing the stock with seals and sea elephants, but they appeared to have deserted the beach as soon as the men arrived. Shackleton realised their only hope of salvation was to undertake another boat journey, and the destination would have to be the island of South Georgia, which lay 800 miles northeast of their current position. The hope was to harness the north-westerly wind and strike for one of the manned whaling stations, where rescue could be raised. Port Stanley, on the Falkland Islands was situated closer, at a distance of 540 miles, but it was not a feasible option, as it would have meant sailing against the strong prevailing winds. With the destination identified and the James Caird selected, because it was the largest and heaviest of the boats, all that remained was to choose the crew. 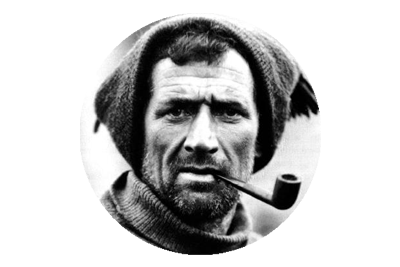 Shackleton asked Wild to remain behind and take charge of the remaining men, with Tom Crean second in command – “Crean I proposed to leave on the island as a right-hand man for Wild, but he begged so hard to be allowed to come in the boat that, after consultation with Wild, I promised to take him.” There were other volunteers but many of those were simply not fit enough for the task that lay ahead, and Shackleton ultimately chose Crean, Worsley, McCarthy, Vincent and the carpenter McNish, to accompany him. Worsley was chosen chiefly for his navigational skills, which would be more than tested, as their target was little more than a dot on the map, surrounded by a gigantic, convulsive ocean. John Vincent and Timothy McCarthy were preferred as they had proven themselves, on the voyage to Elephant Island, and in Tom Crean, Shackleton knew he had a man who would endure to the bitter end. The final berth was offered to Harry McNish. Prior to departure McNish worked tirelessly on the Caird, adding a deck and canvas covering, and strengthening the keel with the mast of the Stancomb Wills. Reinforcement of the boat was of paramount importance as the men knew they were in for a rough ride, across one of the most violent, and storm lashed stretches of water in the world. They would have to contend with hurricane force winds, bitter temperatures and Cape Horn Rollers – gigantic waves which surge through the Drake Passage, where the ocean churns around the globe, unhindered by any land mass. 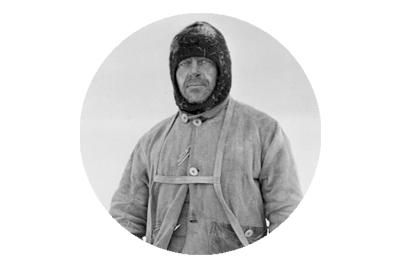 With the Antarctic winter approaching, Shackleton was anxious to depart as soon as possible, and on April 23rd, his anxiety increased more so, when during a snow storm, he observed pack ice drifting eastwards, about five miles off shore. Rising at dawn on April 24th, the men ate breakfast and loaded the Stancomb Wills with supplies and ballast to transfer to the Caird after the heavier boat had been launched. The ballast consisted of boulders, ice, and sand bags improvised with blankets, and their supplies were adequate for six men, for one month. Launching the Caird was not without incident, and all the men were soaked from the waist down in the effort, and Vincent and McNish were thrown overboard and thoroughly drenched, when the boat almost capsized. The first raft of supplies were transferred from the Wills and as it returned with its second store of provisions it was driven onto the rocks by the rising swell, damaging one of the water casks it was towing – an incident that would have repercussions later in the voyage. By midday all was set and the James Caird was ready to sail. The men on the beach, some with tears rolling down their faces, waved off their six comrades, who to all intents and purposes, had little chance of surviving the mission they had embarked upon. As the Caird headed north eastwards, in a moderate westerly breeze, Shackleton observed the group on the shore – ” The men who were staying behind made a pathetic little group on the beach, with the grim heights of the island behind them and the sea seething at their feet, but they waved to us and gave three hearty cheers. There was hope in their hearts and they trusted us to bring the help that they needed.” With full sails set, the boat soon left the waving men far behind, and they too had watched as the little dot on the ocean, slowly merged into the distance, and disappeared out of sight. 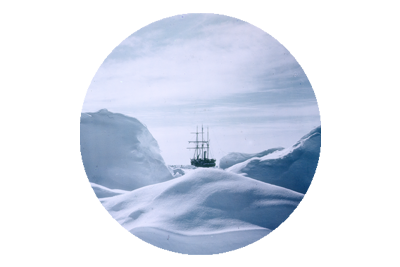 While the crew of the Endurance were aware of the onset of the First World War, ahead of their departure on October 26 1914, ( Shackleton had offered his service to the war effort, before being told to proceed ) they would have had no idea that a year and a half later, Europe was a battleground, awash with the blood of a generation. The men of the Endurance had faced their own battles. Many of these had been conquered, but there were many more to come, and each man fought with courage and compassion, never divided by creed or nationality, but instead united by the desire that each and every one of them would survive. The voyage of the James Caird illustrates perfectly the determination and unmitigated loyalty the group possessed , when six brave souls would pit themselves against the might of the Weddell Sea, in an effort to ensure that all would return home to a world that unbeknownst to them, had changed utterly, to the one they had left behind.